« Beautiful Soup: We called him Tortoise because he taught us. Another shot of the South Moulton Barn. This was taken a couple of minutes before the serenity of this amazing place was disturbed by a herd of bison. 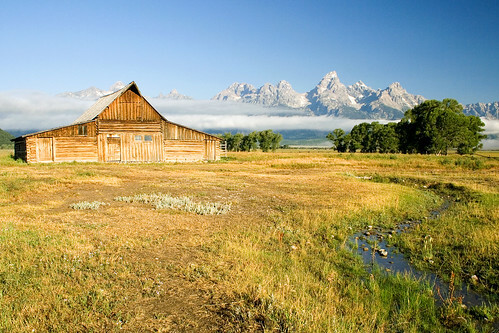 This entry was posted on June 22, 2008 at 10:41 pm and filed under barn, creek, fog, Grand Teton, Grand Teton National Park, Mormon Row, Moulton Barn, mountains, National Park, vacation, water, Wyoming.